This week the components in our seasonal espresso blend will change to coffees from Brazil and Rwanda. The Brazilian component will be Fazenda Pedra Redonda, which came highly recommended from our coffee broker, Mercanta. 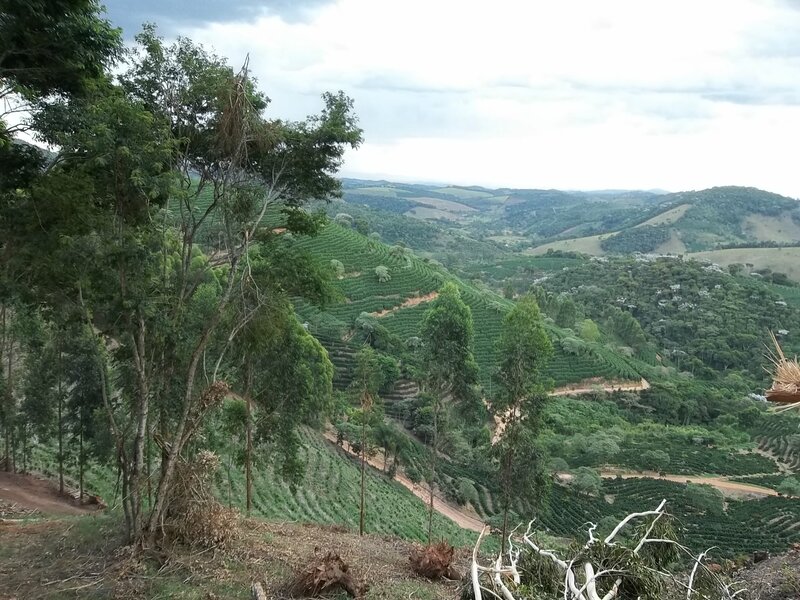 Pedra Redonda is situated within the Minas Gerais state in Brazil, which is a well known coffee growing region. We chose this coffee because it is subtly Brazilian in character – the nutty and sesame tones are still apparent but are more muted and are combined with some hints of chocolate and raisin. This processing method used for particular lot of coffee from Pedra Redonda is pulped natural. Essentially the cherries are soaked in water to loosen the mucilage and are then dried on patios to the correct humidity. Machines then remove the dried mucilage. We tend to find natural processed coffees have good body and sweetness. We’ve partnered the Pedra Redonda with a fully washed coffee from the Cyiya washing station in Rwanda. Founded in 2010, the Cyiya washing station is one of two owned by the Karengera Coffee Company. Coffee cherries which arrive at Cyiya are sourced from around 660 smallholding farms in the area. Almost all of these farms are small, at around a quarter of a hectare each, and plant on average 300–400 coffee trees. This coffee was also sourced for us by Mercanta. We were really taken by the orange tones in the cup and the thick mouthfeel, reminding us a little of marmalade! Overall this espresso has sweetness in abundance and we think it will be a firm favourite. We’ve only committed to a smallish stock of this coffee, enough to last us a couple of months. That should set us up nicely for some new coffees which are likely to be available around March/April.